The British Pharmaceutical Society is taking its annual conference to Manchester for the sixth consecutive year. 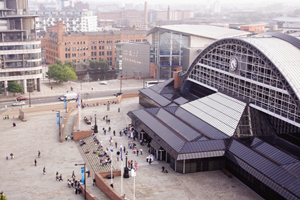 The organisation has selected Manchester Central Convention Complex as the venue for the conference, which is being held on 7-9 September and is the society's flagship event. It also serves as a platform for new work in pharmaceutical sciences. More than 1,000 delegates are expected to attend and keynote speakers from throughout the world will be presenting at the conference, which will focus on "Pharmacy in the 21st century". Society conference committee chair John Gentle said: "Manchester Central is an exceptional venue with all the facilities we require and Manchester's infrastructure makes the city easily accessible for our national and international visitors."